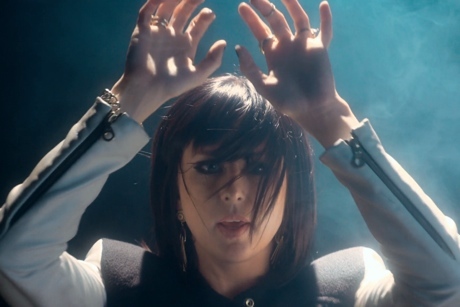 Synth-y New York pop duo Phantogram shared their song "Black Out Days" a few months ago, and now that they've announced the impending release of their Voices LP, they've given the song its own music video. The visuals capture the dark drama of the banging electronic track. We see the duo standing on a dark and smoky sound stage, and these shots are intercut with seemingly disconnected images of gold body paint, smashing skulls, dangerous animals and someone struggling in a bath of milk. Voices is due out on February 18 through Republic.